The Fed’s Community Services department recently welcomed a new member of staff to its ranks with the arrival of 30 year old Avital Gilbey. “Avital is a breath of fresh air!” enthused her Manager, Juliette Pearce. “She was brought in to focus on the needs of the south Manchester community and has quickly made a very positive impact. 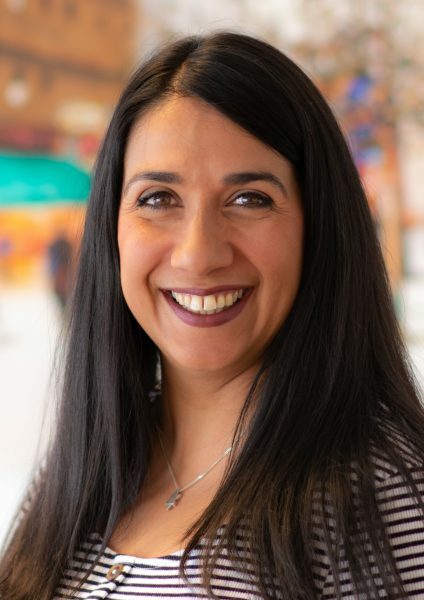 She’s working as part of one big team covering the entire Manchester Jewish community – in both the north and south of the city – which is based at Heathlands Village alongside our Community Advice and Support Team (CAST). There are great benefits for our service users in housing all our projects under one roof – above all being the immediate access to our social workers and support workers, providing people with a more holistic service. Avital describes how she was ‘thrown in at the deep-end’ when she arrived. “The team were in the throes of arranging a big Chanukah party for service users at Wicker Lane shul. It was all systems go! 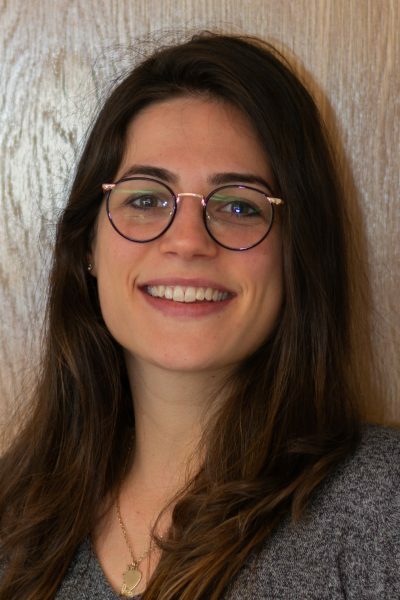 “A large part of Avital’s role is about developing our services to reach more people in need living in south Manchester, by forging stronger links with community organisations and shuls such as Hale and Yeshurun in Gatley. We believe that greater partnership work between ourselves and shuls, Luncheon Clubs and similar institutions will result in people being better supported. The Fed has to be flexible and evolve with the ever-changing needs of the community. In particular, we want to make sure that people living in areas where communities have shrunk over recent decades do not fall through the net. We want to reconnect people. Avital will help further this ‘linked-up’ approach, which will also involve care homes caring for Jewish people and Trafford Council, from whom we received a winter resilience grant to partly fund her salary. “There is so much to be done and so many people who will benefit from the work we are doing. This is a really exciting challenge for me,” adds Avital. Volunteering@thefed also runs the Heritage lottery funded ‘My Voice’ project, with Fed volunteers befriending Holocaust Survivors and Refugees and involvement in the production of individual life story books. These are intended as keep-sakes, to pass on to survivors’ families and future generations. The books focus especially on documenting people’s stories and roots before the Holocaust, and their rebuilt lives after the war, here in the UK. Another feature of the team’s work is the organisation of our extremely popular monthly ‘coffee-stops’ which bring together groups of clients to socialise. The team anticipate an extremely busy few weeks ahead with the annual springtime peak in requests for help with Pesach shopping. Volunteer Recruitment and Training Officer, Dalia Kauffman, stressed the need for more people to step forward and offer an hour or two of their time. She explained, “We are always short of volunteers. We have about 400 currently on our books but believe it or not this simply isn’t enough. I’ve been working very closely with Avital since she joined us, in a drive to recruit more people to do one-to-one volunteering. I cannot emphasise enough how important this is. There is a huge need for support in the south Manchester community – from people who are affiliated to those living very much on the perimeter of the community. People need help with getting their shopping, doing errands, getting to hospital and of course people are terribly, terribly lonely. There are clients we have been taking to the Christie for treatment – some with zero connection to community – and when they see how volunteering@thefed helps them they are in awe. Anyone wishing to offer their services as a volunteer should get in touch with Dalia on 0161 772 4800 (option 2).